The candy pieces are not actually pop rocks but chewy and yet crunchy at the same time... Not a fan. 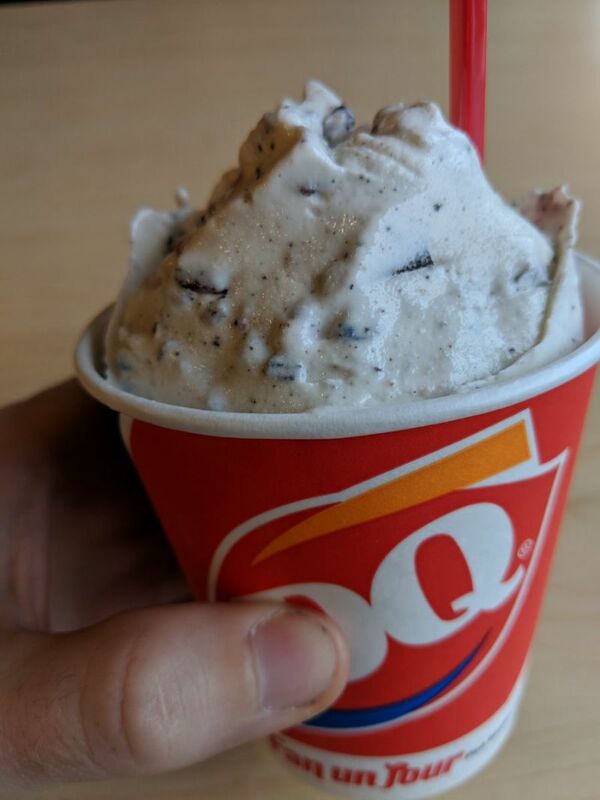 The thing that holds this blizzard together is the classic Oreo cookie bits. Not the best but not the worst (side eye Jurassic chomp). 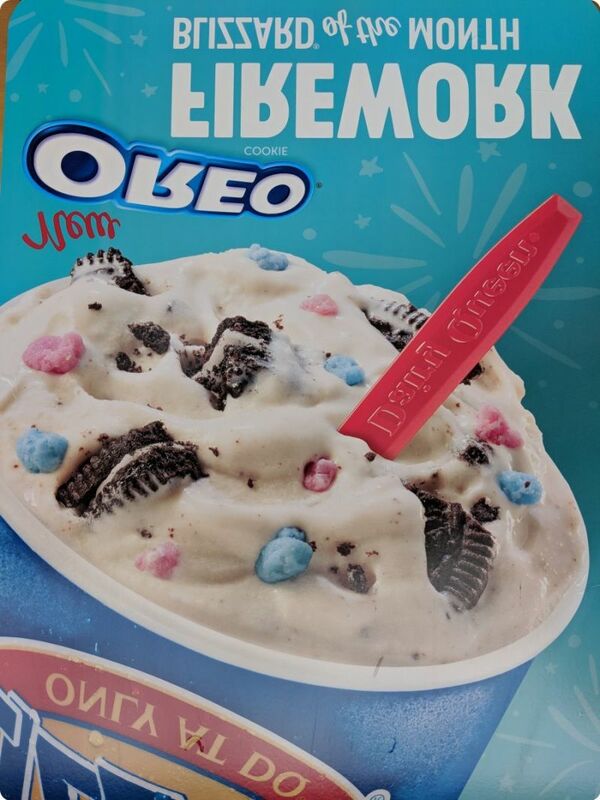 The candy bits are a bit soggy and sticky..not the best mouth feel.